The first steps were taken! Derived from the Cooperation Agreement with Sandvik Coromant signed recently, the initial actions to promote the technical qualification and the exchange of experience were taken with great success! 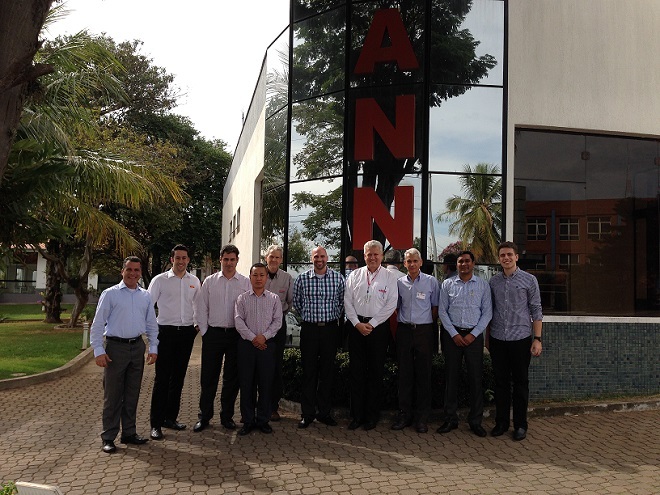 From May to July, 2015 a number of actions between Hanna Tools and Sandvik Coromant teams have been held at our headquarter in Limeira, Sao Paulo, Brazil. As a strategy to reach the goals of the Cooperation Agreement, specific technical capacitation have been offered to global machining specialists indicated by Sandvik Coromant in order to empower them on the development of solutions for precision tools applications. “The mastery of this expertise by Sandvik Coromant´s specialists can offer significant benefits of innovation and quality to the global market, according to Hanna Tools product offerings”, states Lucas Hanna, Operation Coordinator at this early stage of the partnership. Several other similar actions are being prepared for the biennium 2015-2016.